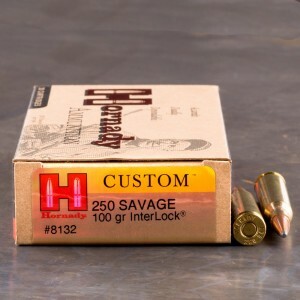 Charles Newton introduced .250 Savage ammo in 1915. It was then called the .250-3000 Savage. (The original name came from the bullet diameter and the muzzle velocity.) The Savage rounds were developed for use in Savage's neat Model 99 lever action which had a unique rotary style magazine as opposed the common tubular magazine in most lever actions. This unique design allowed the use of pointed bullets which could not be safely loaded in a tubular magazine. Early on, the cartridge was well-received. However, it was soon found that the bullets used were to fragile for the velocity the round generated. Of course, today's factory offerings of premium bullets for the round have eliminated that drawback. 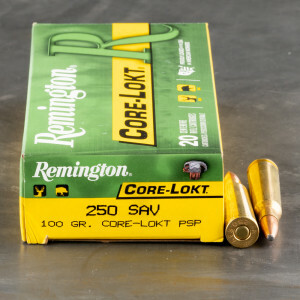 Today's .250 Savage ammunition is a wonderful deer and antelope round, and some have said it works well on black bears; of course, if one uses it for bears, shot placement is more than critical.